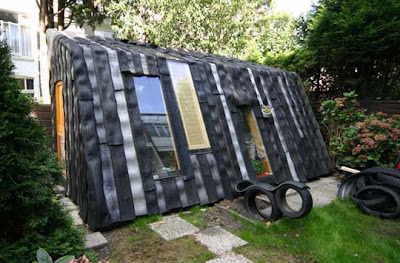 Relaxshacks.com: A Garden Shed/Office/Cabin made from OLD TIRES! 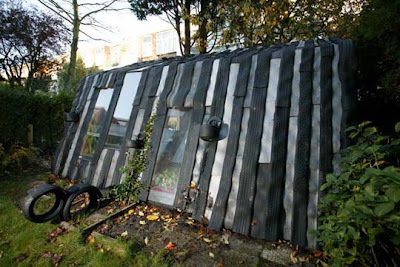 A Garden Shed/Office/Cabin made from OLD TIRES! Ugly as sin- but pretty clever n' cool..... 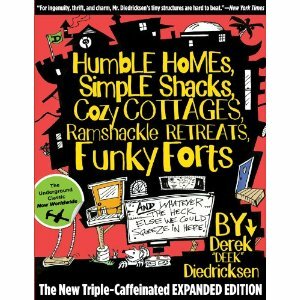 I don't think this will be giving Michael Reynolds and his Earthships a run for their money, but its a really great little concept. And... 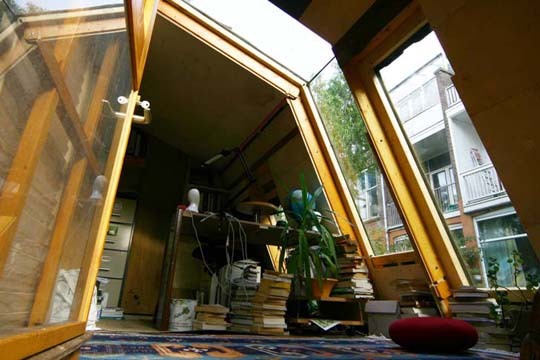 This 10' by 26' garden shed/workspace is loaded(!) 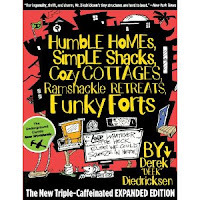 with recycled materials- from its split tire siding, to the incorporation of salvaged lumber, and even its windows, which were repurposed from an old garage. Why not? I was working on a post about uses for old tires, as there are just so many of them out there, and stumbled on some photos of this. I couldn't resist! In the meantime, if YOU have some interesting ideas for reusing old tires, please share below.